• A startling percent of iOS apps are invisible – Due to increasing competition for developers, by the end of 2014, 83% of applications in the Apple App Store were considered “zombie apps”. Unless users search for the exact brand name, they will simply not find the app for any search query or in any category. The rapidly evolving app ecosystem, which is now slowly weeding out all but the fittest of apps, presents a challenge. How does all this have any bearing on what you do for your app? Well, it should have quite a bit of bearing. Due to all of the competition we just detailed, the solution many app publishers seek is to buy users. They go to Facebook, Google, Ad Networks, Twitter, and any other ad outlet imaginable. They pay huge retainer fees to PR agencies. And this gets them is some extra installs. For every few dollars spent on ads, there are a few more users, but that’s it. While these methods help, there is no permanency. Once paid advertising stops, so too will the traffic to the app. 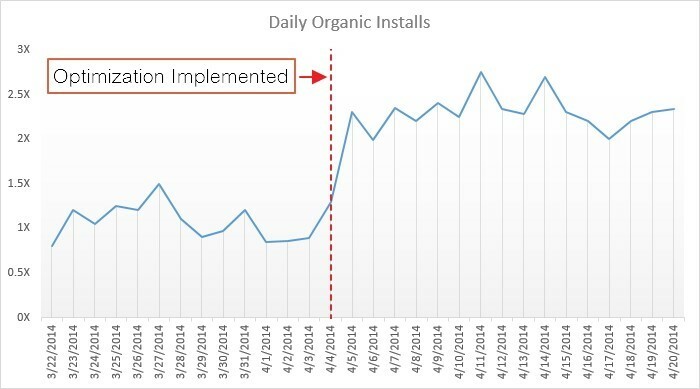 Encouraging organic installs is the only method that maintains downloads on an on-going basis. Organic traffic is quality traffic and it is the bedrock on which successful apps should grow. ASO is the main technique with which you can improve this channel. ASO is a very cost effective approach to getting more downloads for your app. ASO results are fast, and the results are BIF. 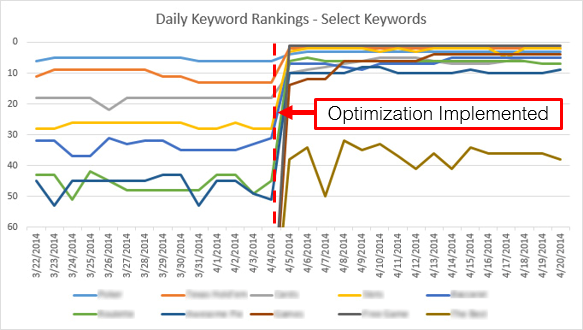 The work you do to optimize your app directly and immediately increases keyword rankings associated with your app and that, in turn, immediately increases your organic installs. For the relatively low cost of obtaining ASO data and some research every month, you can potentially drive your app’s downloads exponentially. 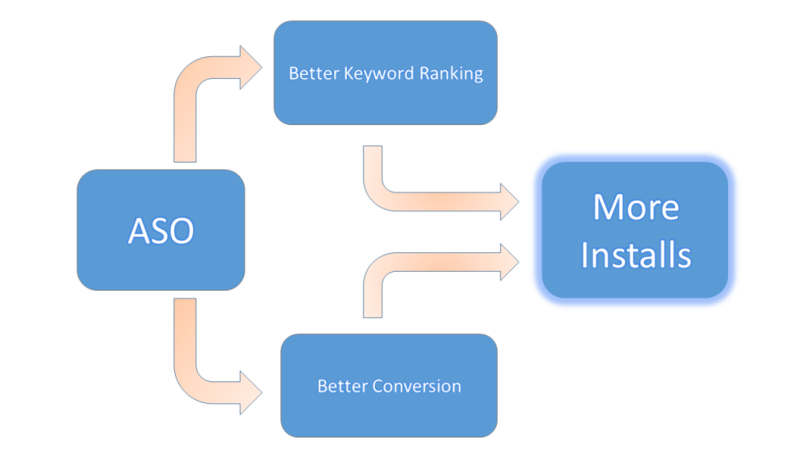 ASO – better keyword rankings and more conversions – more installs. Installs were soon to follow. This client saw an increase of %150 in organic installs. Results vary though, we usually see an increase of between 30%-200% in daily organic installs and sometimes even more! Our personal best is %2000 increase, with a client that had few installs to begin with. Despite its great potential and proven success, ASO is not a silver bullet, a magical cure to all your app marketing snags. There are limitations. ASO should be part of a comprehensive marketing strategy. If your new app has 10 downloads a day, and you apply ASO practices, you cannot expect to gain 10,000 downloads a day after a week of optimization. The process is more gradual, and will provide an increase in installs over time. But by using the right methods, you will make ASO work for you and reach your goals. Let’s dive right in! In the next chapter you will get an understanding of the basic app store ranking algorithm.